If your home is hit with a sudden surge of electricity, that surge can filter throughout your entire electrical system and cause tremendous damage to your home’s appliances and electronics. That’s why it is recommended that you use some kind of surge protection for your appliances and small electrical devices like televisions and computers. But how does surge protection actually work? The Connecticut electricians at Electrical Connection have years of experience offering quality services, and we wanted to offer a quick explanation of how surge protectors work. The first thing to understand is what a surge of electricity is. In the United States, the standard voltage for household wiring is 120 volts. But sometimes, a surge of electricity can come from your electrical provider through the grid and enter your house. This is called transient voltage and it can be incredibly damaging to your home and to your appliances and electronics. How Does the A Surge Protector Work? A surge protector is designed to stop the flow of electricity if it gets too high. To do that, it uses something called a metal oxide varistor which is a round, red object about the size and shape of a quarter. Under normal conditions, the varistor does nothing to the flow electricity passing through the surge protector. But if the voltage gets too high, the varistor automatically diverts the extra voltage into the ground wire. In modern homes, the outlets in the wall have three holes and the ground wire is the middle rounder one below the two vertical slots. While these smaller types of surge protectors are sufficient for the average transient voltage, they may not be able to stop the massive amount of energy from a lightning strike. In order to achieve that kind of protection, homeowners may have to invest in a whole-home surge protector. Consult your local Connecticut electrician if you’re interested in learning more about whole-home surge protectors. 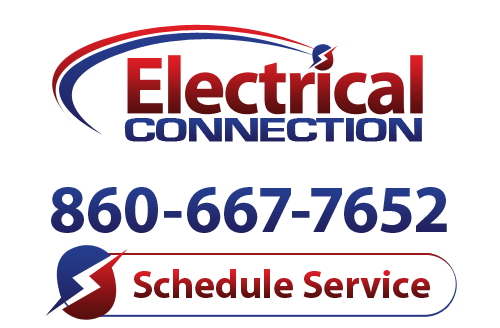 When you need a Connecticut electrician, make sure that you call the experts at Electrical Connections.